I'm not well-versed in the technical merits of fashion design as my fashion adoration for a particular designer or collection is judged by the pace of my fluttering heart. Designer Angelys Balek has won my heart with her sweet, feminine frocks, and prints of whimsy. 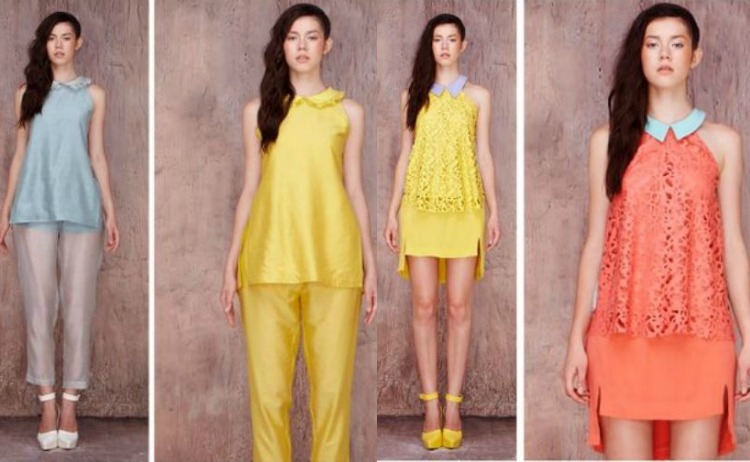 Angelys started her label in 2010 in Bangkok and is now expanding into the U.S. market. With celebrities and the fashion glossies all singing her praises, she is a rising star hitting every fashion stride. I wore my Angelys Balek leather laser cut baby doll dress last week and am already thinking of where to wear it next. The dress is absolutely adorable and epitomizes everything right about baby doll dresses. The round leather collar adds a layer of sweetness to the edgy laser cut outs while the mellow yellow keeps the look soft and summer perfect. Ultra FAB from head to toe.....that dress works like magic!! Great look and nice dress! That dress and that bag are sooo cute! Love them! Awesome! The yellow dress seems so comfy and has a unique style. Backpack is wonderful! I love Chanel! You look so pretty with this dress. I love this yellow color. I like the dress and the shoes but i don't like the one wearing it because she has a dark spots on her skin. I referring the top model, the one who is wearing the baby doll dress. Model should be flawless. Thanks.